It’s the final recommendation from my side which again comes with a proper magazine UI, offering elegant looks, and keeping the simplicity at its best. 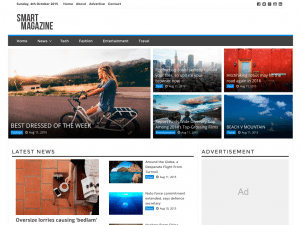 Dedicated cut-outs for advertisement banners are also onboard, and it truly supports WordPress live customizer, ensuring the customization part is as easy as playing a Ludo game. The theme is ready to work in any globally known language, thanks to the translation support. It uses responsive layout, ensuring proper support for visitors using mobile devices. 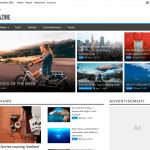 It comes with featured images and threaded comments, the two handy features for a magazine look.